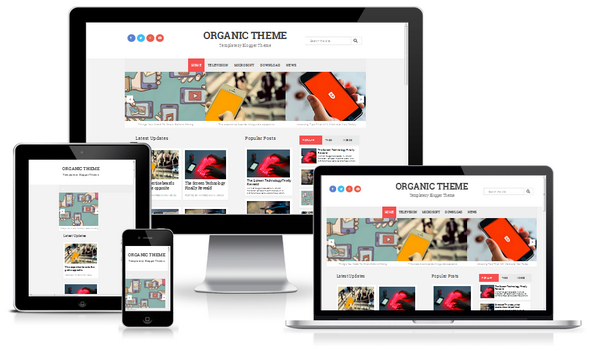 Organic Blogger Template is a multipurpose and Technology based template having fully responsive layout. It is Fast SEO friendly Template. 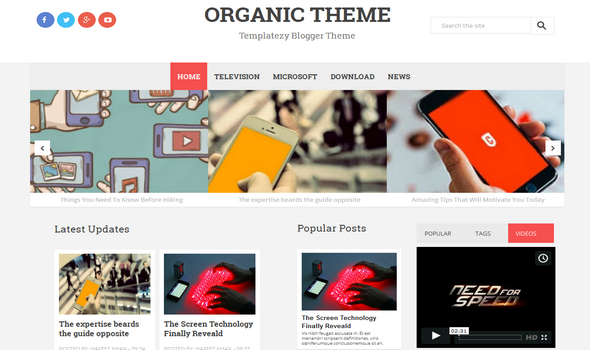 Organic Blogger Template is a multipurpose and Technology based template having fully responsive layout. It is modern portfolio, professional and technology based Blogger Template. Organic Blogger Template Comes with lot of handy dynamic features and installed less jequery codes plugins widgets which make it fast loading template. This template is very suitable and the perfect choice for users, who want to run technology, Design, Magazine, Gaming, multimedia or news portal blogger hosted site. In short, It is a perfect multipurpose magazine template for blogspot sites. 100% Responsive Mobile Layout: Like Hippo Mag Organic is also 100% fully responsive template. It would show responsive layout from Desktop, Ipad, Mobile, and all mini devices. Very flexible and flat design template. We have already tested it via following responsive tools sites. Adopted From: Organic blogger Template is officially adopted from Magazine theme like Designflex we found it on MyThemeShope site. Besides, two social icons buttons widget are also installed by MyThemeShope in organic theme. We already received so many requests from clients to design Magazine like template. So this was one of the reasons, why we adopted this template. Multi colorize: As you know, it is a multipurpose blogger template, Therefore we have wisely added a modern portfolio layout that would suite any niche sites. So you can use it for any type of blog/sites. It is a randomize colorize template same as authorism. SEO Ready: Organic Theme is more seo friendly than all our previous released templates. Here we added all the major SEO technique that are necessary for every blogger site like Facebook, Open graph, Schema Tags, H1 h2 heading in proper locations and much mores, In short, This template is Super SEO friendly thus, you do not need to hire a seo specialist. Ads Ready:The foremost thing, you need to check in every blogger template before it applying on your blog, is Ads Ready slots. A template without having proper ads slots will never help to boost your revenue. Since, in Organic Theme, you will get Ads ready slots by default. As you also see in the above screenshot. Related Post Widget: We always do care of visualization of blog internal design. We also integrated a cute thumbnail like related posts widget that would be showing up below every post page. All you need to do is to add label in your posts. It would display all the related posts that you assigned them labels. 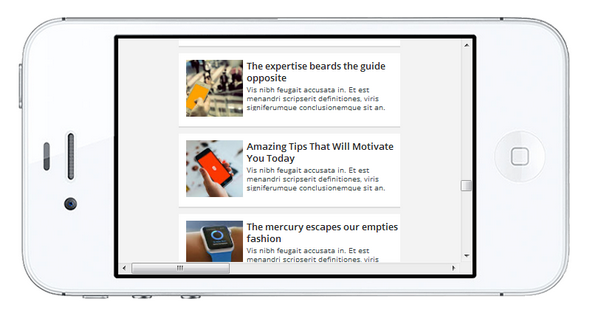 Video Widgets: By default, we can add video into blogger templates via add/widgets. But what if someone wants to place VIDEO or Multimedia updates every after posts pages. Since, in this template we added a responsive video widget below popular and latest posts section. This gadget can hold auto play video or manual one. We hope you found Organic Responsive Blogger Template very helpful and perfectible for your upcoming sites. 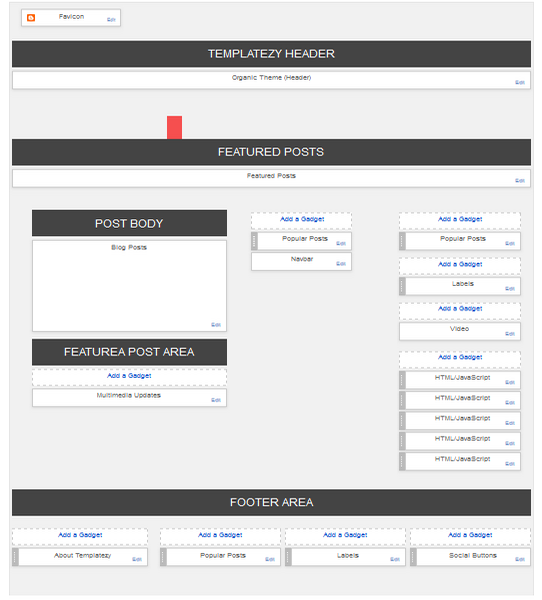 This template is also using by some of our co-authors at templatezy. They select it why for templates site, because it is SEO friendly and Faster template. In, short we would called it the no#1 blgospot template. If you are curiously looking for best technology blogger template then we would highly recommended Organic theme. Download it and test it on your site. If anyone having issue with the template just let us know through contact us page. We will respond within 24 hours. thanks.